Two Canadian women and another man were arrested after Australian authorities say they found $23 million in cocaine in their cruise-ship cabins. 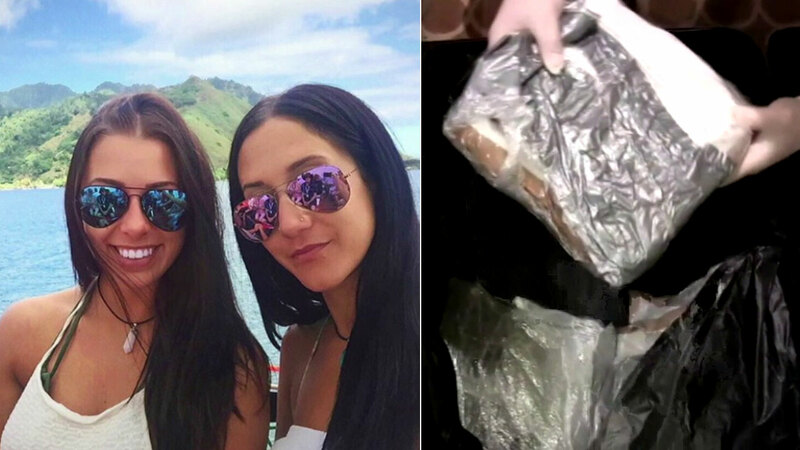 SYDNEY, Australia -- Two Canadian women who documented their lavish trips on social media were busted for allegedly trying to smuggle $23 million worth of cocaine on a cruise ship. The women, Melina Roberge, 22, and Isabelle Lagace, 28, documented their cruise on Instagram as it set off from England, stopped in Canada, the United States, Colombia and Australia. They were busted in Sydney. Police say they found 35 kilograms of cocaine in suitcases in a cabin the two women were sharing. Police say they also found 60 kilograms of cocaine in the luggage of a man, Andre Tamine, 63, who was traveling with them and who was also arrested. They face potential life in prison if convicted. Police are still trying to determine where they allegedly acquired the drugs.